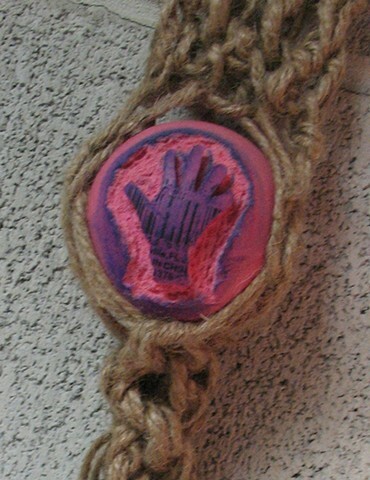 A bouncy ball perched in a custom macrame holder. As children we're always searching for affirmation. As adults, we act like we don't need anyone's approval. In the end we're all knotted up about wanting validation from others.